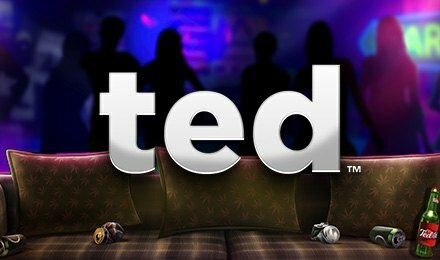 Join Ted on his couch on Ted slots. The fun and awarding video slot game will let you jumping up and down! Leaving you wanting more! Blue Print’s Most successfully branded slot game is available for play at Moon Games! Symbols like bongs, beer packs, Marie Lynn, goose, Ted Logo, Thunder Buddies Bonus Logo and high card symbols will land on the reels to form winning combinations. The 5 reels and 20 paylines slot game is based on the two blockbuster films, Ted, which features a real like teddy bear. Ted Slots has 11 features, six of them are randomly triggered in the base game and five of them are triggered by landing symbols on the reels.